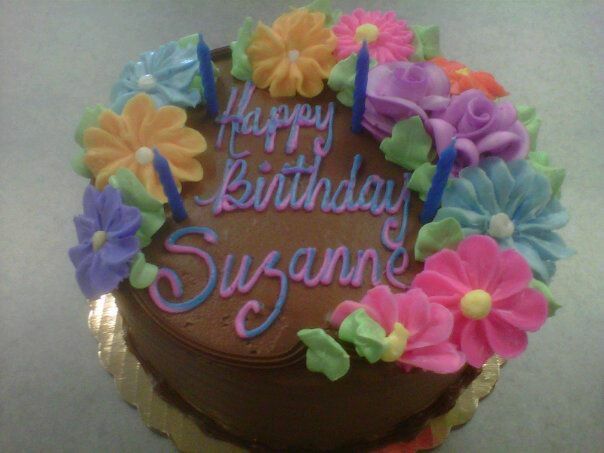 Today the office came together to take a break and wish our Director Suzanne a very Happy Birthday! During our very rigorous day we stopped, took a moment and got together as a team to relax, wish Suzanne a great day and take some time for ourselves to smell the flowers. FYI, the cake had flowers all over the top of it as well! Around this time of the year students are hard at work at their internship or summer jobs. Gaining experience for their resume and maybe even saving a little money for school expenses in the fall. While they're busy at their daily grind, they need to remember it is summer outside, the weather is amazing and yes the flowers are blooming. So, stop a minute, go outside smell the flowers and take a little relaxation time to yourself. It’s better to do it now because classes and fall semester are just around the corner! Happy Summer to ALL & Happy Birthday SUZANNE!